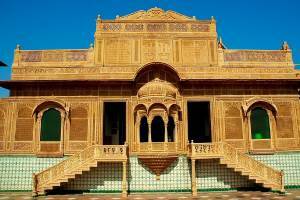 Sam is located at a distance of 42 Km from Jaisalmer town. This place is a famous tourist spot of this area. There are sand Dunes here where sun set can be enjoyed. The combination of sand Dunes and camels with sun at background gives a spectacular look. Many tourist carry cameras with tripods to take some photos on low light condition as this is the best place for Silhouette Photography. As soon as you arrive at this point local camel owners will offer you a ride. The sand Dunes are located very close to the vehicle parking area but if you prefer to walk then at every step you will be offered a camel ride at a very attractive price. The standard rate for a camel ride is Rs 80 but tourist usually ends up in paying much more than the standard rate. 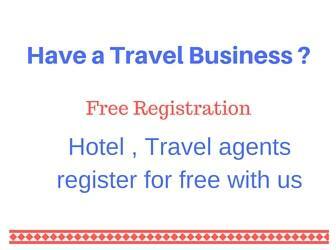 The confusion starts with rate for one way journey or it includes return also, same way price for one or two persons is not clear. The camel owners will try to take maximum advantage out of this. If you already have the experience of camel ride then it is better not to try here. After all what more you are going to enjoy by staying at a higher ground level than your normal height ? The camel ride is not at all comfortable and particularly when the camel starts to run. While standing from sitting position camels takes one intermediate position and ask the owner first which side to bend to maintain your balance. There are some carts driven by camels to take a group of people close to the sunset point. While on the sand Dunes you will find local kids offering you coffee, tea and cool drinks etc . All drinks are offered in plastic cups without any proper disposal system, so it is better to avoid them. Tourists starts returning to Jaisalmer just after the sunset and within short time the parking place became deserted. During the tourist seasons tents are available at Sam to spend the night. After the sunset folk dances and music programs are arranged for the entertainment of the tourists staying for the night. 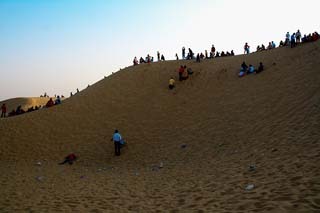 Kalbelia dancers perform on the sand dunes during sunset time and in the evenings. 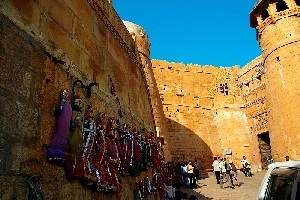 This famous dance is quite popular and is one of the main attraction of Jaisalmer. As this dance is preformed in open on Sand dunes so it became more attractive in full moon days. One advantage of staying at Sam is to enjoy sunrise next day. Sunrise is equally beautiful and with the soft morning light the tourist tents give a good view. Many tour operators arrange the stay and some of them have their own camel fleet. 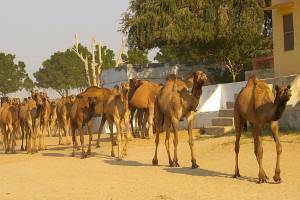 One day stay including camel safari starts from Rs 2000 to Rs 6000 depending on the type of accommodation and transport including dinner and breakfast. 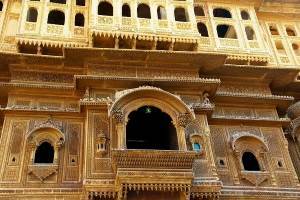 If you plan to return to Jaisalmer without night stay then the cost will be around Rs 600. Some tour operators can arrange only camel safari without any stay at Sam. Some tents are supplied with electricity by generators sets as there is no electrical supply available at this part of the desert. 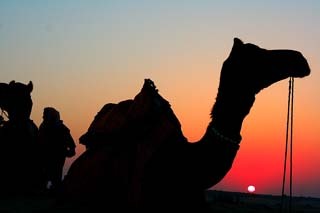 Some of the tour operators can arrange desert stay and camel safari inside the desert. Sam is the starting point of desert with well connected road network. 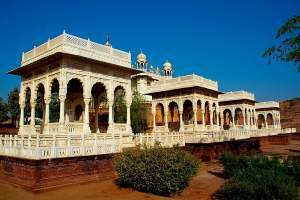 We have seen one such remote desert resort near BARNA village around 60 KM from Jaisalmer. You can spend some more time at Sam sandunes after the sunset and enjoy food at the temporarily arranged restaurants by the side of the sand dunes. You can see the presence of local police during sunset time as the place became heavily crowed by tourist, local venders and camel owners.